Those patiently waiting for the Infinadeck VR Treadmill to launch adding extra immersion to virtual reality games, applications and experiences. Will be pleased to know that the company is launching the new VR treadmill next week after first unveiling the product back in 2014. The launch party will take place at the SVVR office in Silicon Valley where the prototype VR treadmill will be available to experience. 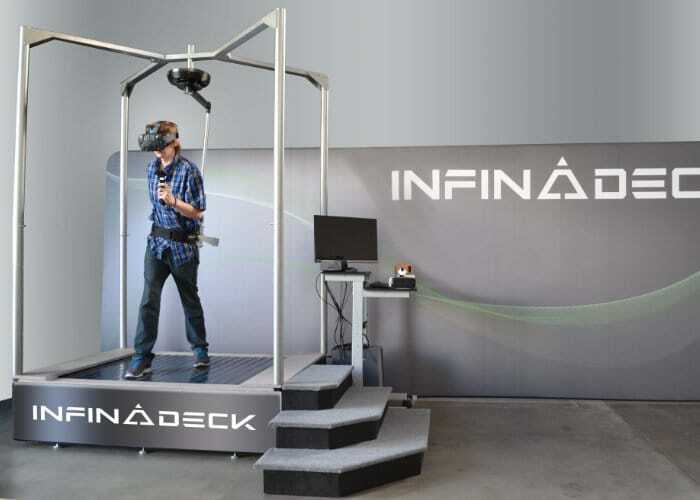 Unfortunately, no information on pricing or worldwide availability has been released as yet by Infinadeck for the virtual reality omnidirectional treadmill, but as soon as information comes to light, we will keep you updated as always.